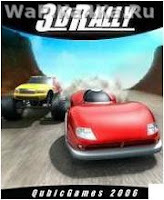 3D Rally [Racing Game] is available here to download for java mobile. Feature of the game is a kind of "out of the cab," a racing car or "seat" bike. Yes, you can ride on those and other, mostly on mountain roads, including at night when the headlights.